HAN SOLO IS being held prisoner at Jabba's palace. The empire is building a new Death Star. 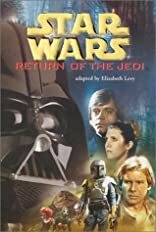 Luke Skywalker and his friends are back on their quest to save the galaxy in this final episode of courage, love, hate, and redemption.